A fascinating video shows the Russian “Rokot” launch vehicle taking the European Space Agency’s Sentinel 3A satellite into space from the Plesetsk cosmodrome. The satellite measures sea levels and gets an all-round picture of our planet’s health. The Sentinel 3A blasted off into orbit from the Plesetsk Russian military cosmodrome in the country’s north. The ESA’s latest observation satellite will orbit at a height of 800 kilometers. It has an operational lifespan of seven years. 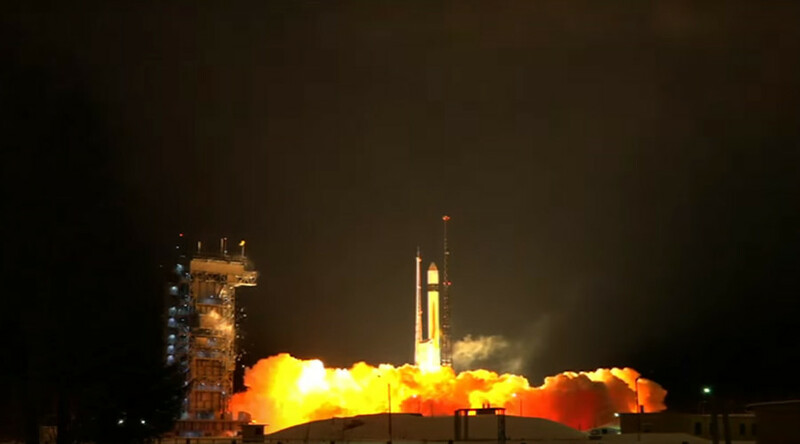 The first signals from the 1,150-kilogram satellite were received from space after 92 minutes via ESA’s Kiruna ground station in Sweden, according to the agency. The satellite is one of the many being launched to form the space component of the European Union’s Copernicus environment scanning program. “The Sentinels are our guardians in space. It’s a satellite which observes our planet. Sentinel-3A, if you want, gives us a bigger picture. That means that instruments onboard have a lower resolution, but scan the surface quicker because there’s less processing to do. This provides the everyday status of our planet,” said ESA’s Director of Earth Observation Volker Liebig. The Sentinels will monitor changes in the Earth’s climate and scan for marine pollution and biological diversity, as well as checking vegetation health and measuring the depth of ice, rivers and lakes. The Russian-made “Rokot” launch vehicles can carry a payload of 1,950 kilograms into a 200-kilometer high Earth orbit. The project has a history of 25 successful launches since its first launch from Baikonur in 1990.